What if abortion were legal when you were born? Would you still be here? Many of us in our 40′ and beyond would not be. For those born later the answer is obviously “yes.” But then you have to wonder how many brothers, sisters, cousins, friends, schoolmates, etc. 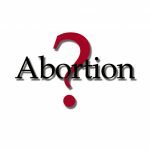 are missing from your life because of abortion. Abortion is one of the hottest political buttons in American culture. There are usually very few people in the middle. Either you are a pro-life person or pro-abortion. There is very little middle ground. The one who approves of abortion cannot imagine how a sane person could possible restrict the decision a woman might make. Pro-life activists cannot imagine how one could take the life of an innocent. It may be that radical political change in Washington may have opened the door to a swelling of support for the rights of the unborn. We have previously written of the [cref abortion horrible attitude of our leader toward human life.] This post offers some reason for optimism. Clenard Childress is an activist who calls upon churchgoers to rise up and speak out against abortion. He writes an article in Christianity Today, Speak out Publicly. He notes a shift in those opposing abortion. It could be that the radical proposals in health care have caused some to rethink their stance on the sanctity of life. Charmaine Yoest heads Americans United for Life. She argues that out best chance for laws restricting abortion is to be found in the state legislatures. She cites a study done by a University of Alabama researcher which seems to point the way forward. Her post is Pass More State Laws. Can you imagine what our nation might look like if every pro-life individual applied the full weight of his or her passion to reaching out with support and care to women facing crisis pregnancies? You will find her article encouraging but very challenging.